I must confess, I still love Peeps! 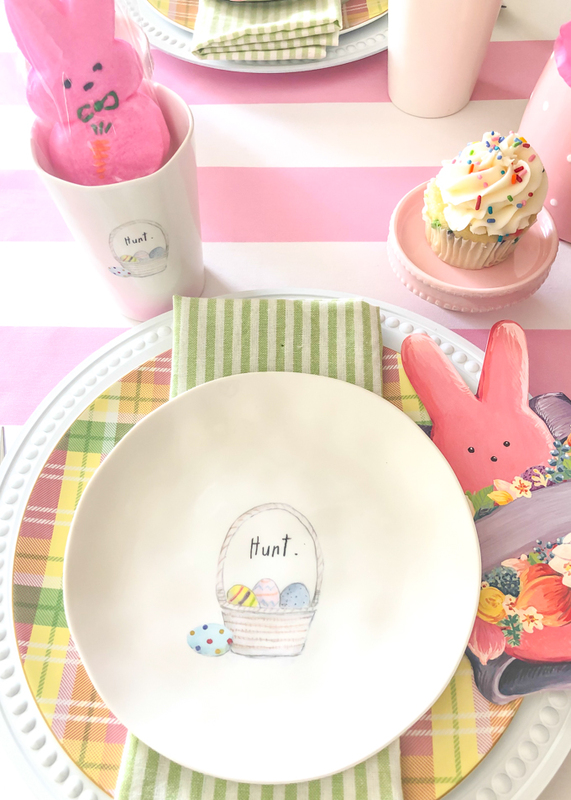 And, as soon as I saw these adorable place cards, I knew what I wanted my “kids” table to look like this year for Easter! You’ll notice I haven’t written names on the cards yet. I’m saving that job for my granddaughter Gigi. 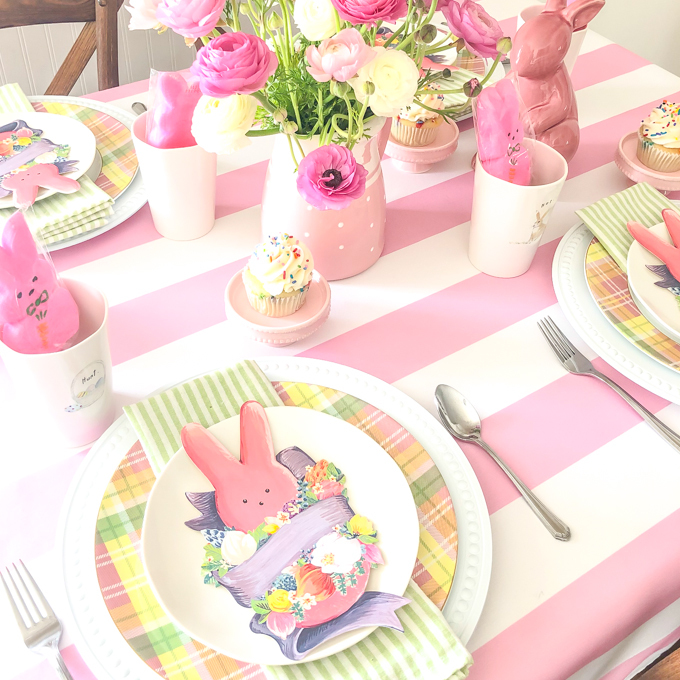 I’ll actually be packing up this tablescape and one more (for the adults), and taking it on the road to have Easter with my oldest daughter and her family. 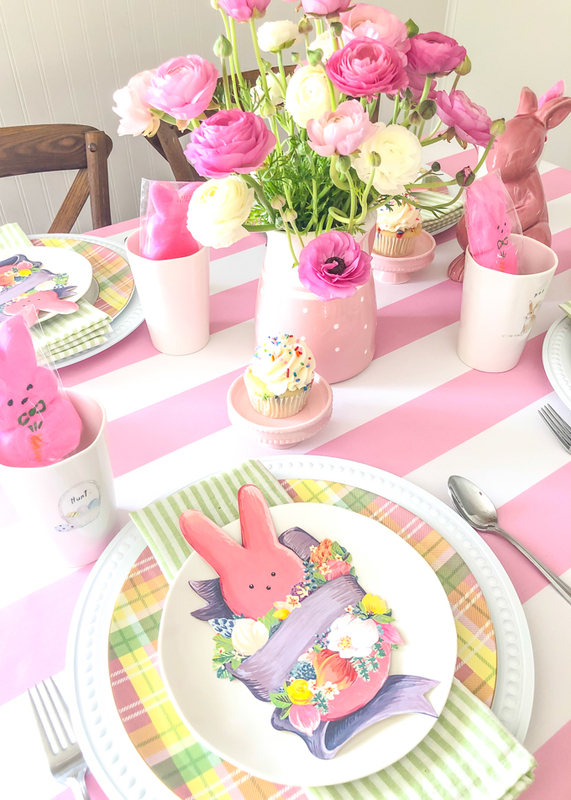 GigiBean is quite the little hostess and will love getting to set this up for Easter dinner. I love that I can share my love of hospitality with the littles in my family! 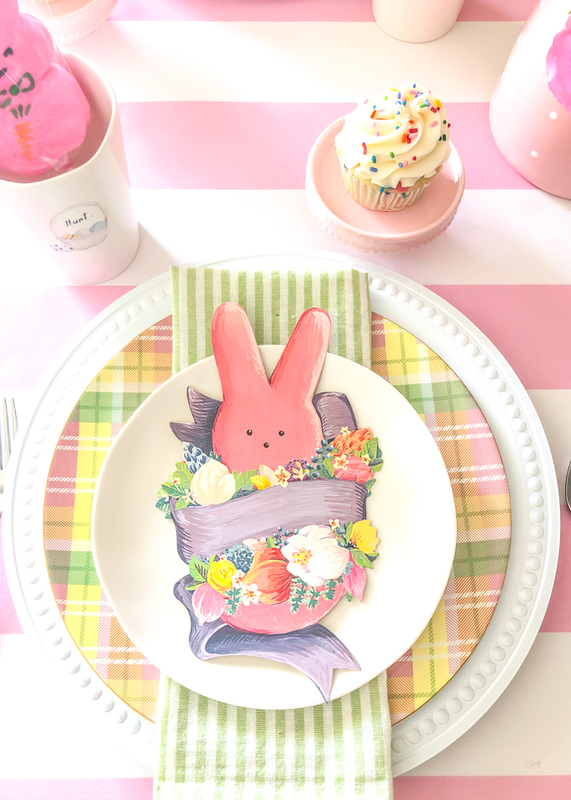 GigiBean and I played around with a few different plates and napkins, but after a quick trip to HomeGoods and finding the perfect plates, I had to make a switch-a-roo. She didn’t mind and admitted to loving this a little bit more!! I just love how the plates incorporate all the colors of the place cards. I found these sweet Peep cards at a local boutique. The brand is Hester & Cook. Check them out, they have some fabulous table accessories. 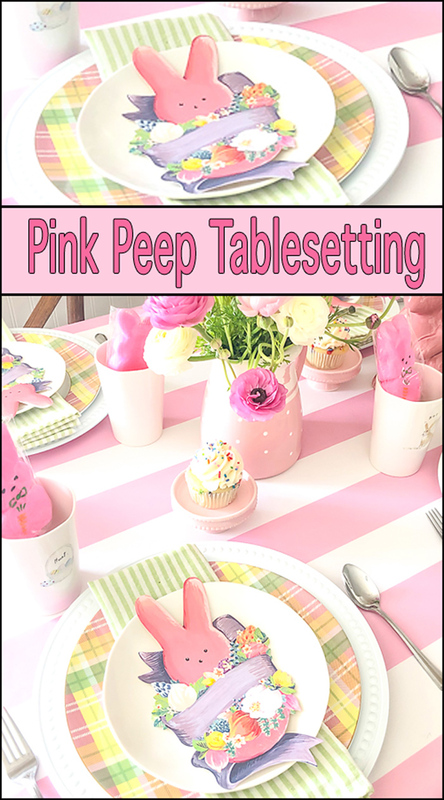 I already had the white chargers, pink cabana striped tablecloth, and the green striped napkins. 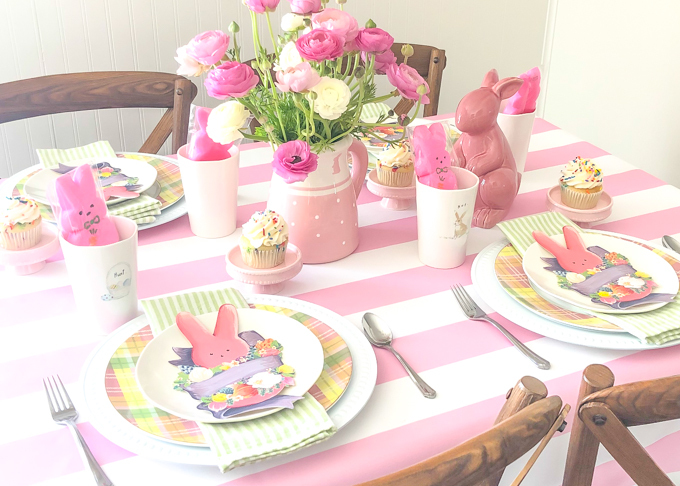 The Rae Dunn salad plates & cups and bunny pitcher were Home Goods finds and the pink bunny was from Marshalls. I picked up the large Peeps at Target. Below you’ll see the salad plates. They came in a set of four and each are a different pattern. I couldn’t resist! I mean seriously, just look at that cute bunny! !